Vice Presidents Gone Rogue is the topic for the Big Walnut Area Historical Society program at 7:30 Tuesday, February 13. Roy Nichols will explore VPs who at critical moments defied the Presidents under whom they served. The program is free to the public. Using the term "Gone Rogue" is a twist on Sarah Palin’s auto-biographical book, Going Rogue, which describes how she saw herself. She didn’t "stick to the script," notes Nichols. Palin was not the first running-mate or VP who went rogue. Many VP’s were independent operators who at critical moments, defied the Presidents under whom they served. Some times this caused embarrassing moments but other times there were far reaching consequences. Roy Nichols spoke to the historical society in August. His presentation of historical facts is very entertaining. and earned his law degree from Cleveland-Marshall Law School in 1972. From 1972-75 Roy served as the Assistant Counsel for Ohio Secretary of State (in Elections division). From 1975 to 1979 he was Chief of the Corporations Division for Ohio Secretary of State. From 1979-1983 he served as Chief of Legal Services Division of Ohio Department of Rehabilitation and Correction (Legislative Liasion for DRC). From 1983-2007 he was in private law practice but taught classes at Columbus State and other local colleges. Upon retirement he formed Nicholsworth Presentations and gives historical talks on a variety of subjects, is a Professional Storyteller and plays Santa. 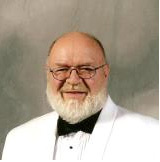 He is a member of Vaudvillities cast member (3 shows per year); Hanby House volunteer; Church choir; Silvertones Chorus; enjoys karaoke and ballroom dancing; Forever Young Theater Group (once per year); Gillie Payers (3 plays per year); Underground Railroad Study Group. Roy is active in Faith Covenant Church, Blendon Senior Center, Westerville Senior Center, Gillie Rec Center, Storytellers of Central Ohio, 2 Civil War Round Table Groups; Ohio History Connection; Westerville Historical Society; Delaware County Historical Society and the Griswold Center in Worthington. Light refreshments follow the meeting.